or, Life is what happens while you're busy making other plans. According to family legend, I was born with crayon in hand. Dad says he knew I was doomed to the life of an artist (my Mother's greatest fear but, that's another story) before I cleared diapers. Once I discovered I could leave a mark there was no surface in the house that was safe; not the floor, not my brother, not Mother's good linens. Dad was my only champion. Everyone else agreed, I should stop wasting my time on this silliness and go "fill in the blank!" Anything but art! Dad would bring home rolls of butcher paper, cigar boxes filled with crayons, pens, pencils, books on drawing and perspective. His only rule, "On the paper, kid." Grownups and their rules…. what's a kid to do? My earliest interest was animation: Mighty Mouse, Popeye, Sleeping Beauty. I never drew houses or trees, it was always characters doing… something. I would on occasion draw cars or planes but they had to be going really fast; Speed lines, clouds of dust. I was aware of comics but found them boring. They just sat there. No motion, no sound. 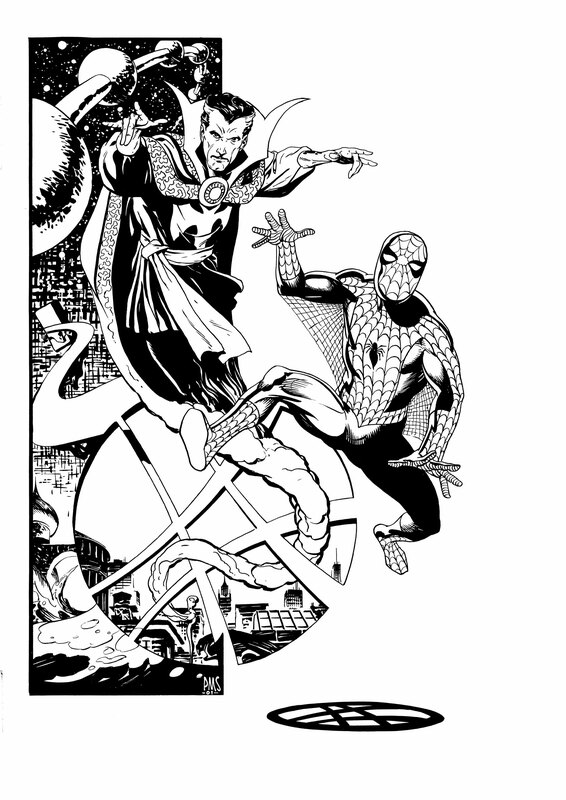 Then I discovered Ditko. 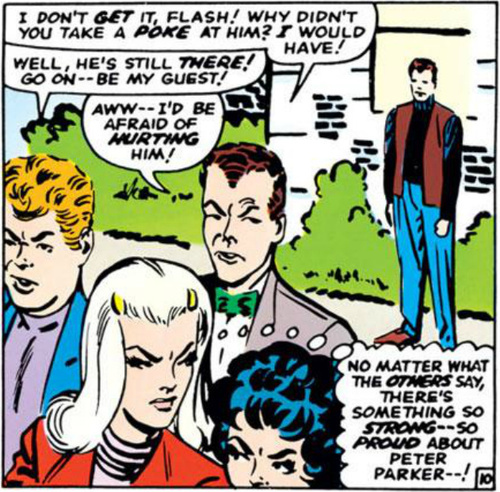 The Amazing Spider-Man #36 changed everything. Comics could move. Unlike the DC books of the day where characters did little but explain things at you, Spider-Man did stuff. Best of all, he was a shmoe. An ordinary guy in extraordinary circumstances, he could've been me. 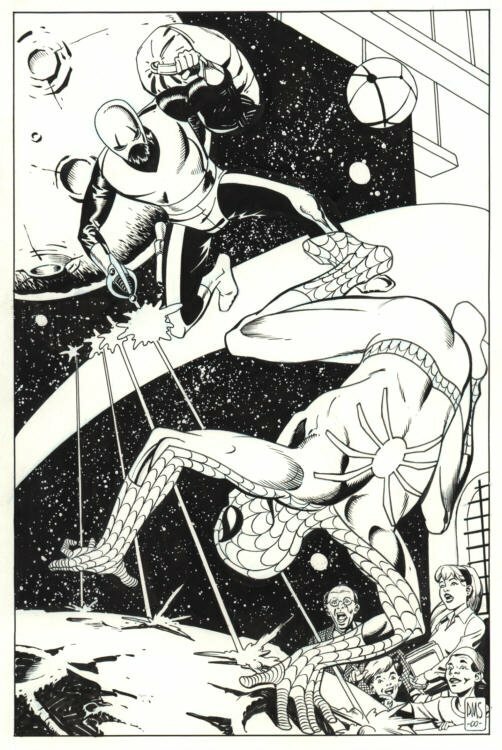 Two months later, Ditko left! EEK! To a certain extent, I've spent the rest of my life trying to fill that hole. Interestingly, while I had switched my interest to comics, it was animation where I got my big break. I soon realized, I was not an animator. It was the areas of storyboards, character design, layouts that interested me, aka comics and so, when the opportunity presented itself, I made the jump and here we are. To this day, there are areas where Ditko is so deeply ingrained in me I couldn't escape if I wanted to. So, Steve, this one's for you. Thanx fer' everything.